One of the wonderful things about old cities is how different times and different lives co-exist, and how parts of the city created in one era get reinvented in another. 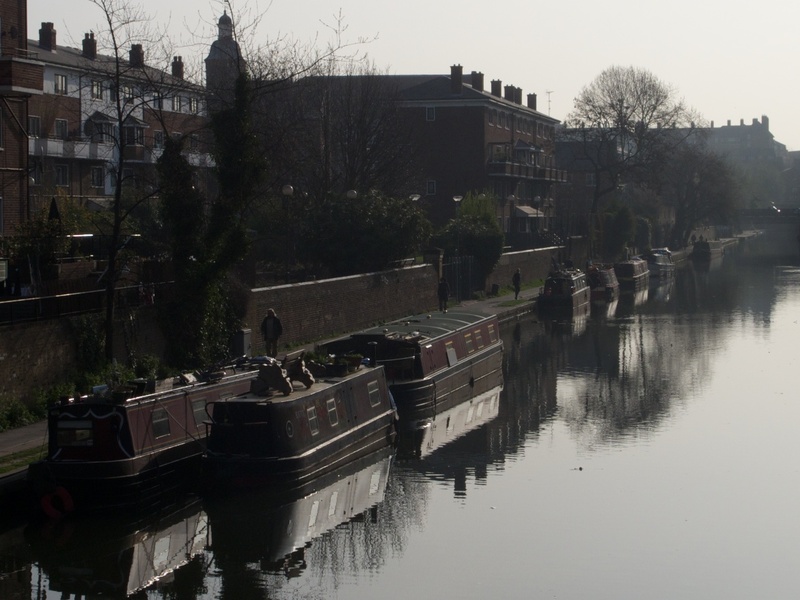 Behind the railway stations of Euston, St Pancras and King’s Cross lies the infrastructure which the railways replaced – the canals. Of course, they no long reserve a commercial purpose but they remain one of the arteries of London providing footpaths to work and bike, a place for the intrepid to live on a barge and support for a larger leisure barging industry. Around King’s Cross the buildings which were all industrial are being replaced or restored as homes and offices with the Regent Canal as a centre point. This photograph captures I hope the peaceful nature of the canal in the midst of an increasingly frenetic city. Posted in England, Infrastructure, Photography and tagged boats, canals, King's Cross, London, photography, Regent Canal. Bookmark the permalink. I’ve always wanted to live on a canal boat – even more so after seeing the serenity in this image. I passed the canal boats again today. It was purring with rain and looked slightly less serene. I know people who swear it is the only place to live, but I’m not sure I’m totally convinced. But you must let me know if you take the plunge (as it were).